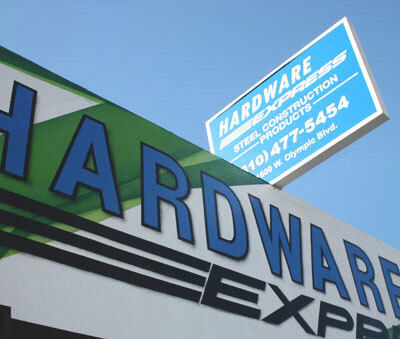 Providing Superior Service, quality construction products, and custom hardware since 1986. We Carry Quality Products from Simpson Strong-Tie, Grip-Rite, Hardy Frames, and other leading manufacturers. We offer Custom Fabrication solutions for any project, or will build to your specifications. with large scale custom solutions, landscape art projects, or perhaps just a few bolts for a kid’s school project. Supplying high quality steel framing and foundation products for new construction, remodeling and seismic retrofit projects. Building a custom home, landscape art, or your kid’s school project, we can find a hardware solution or custom-build to your specifications. Providing personalized service and quality construction products to Los Angeles area builders, homeowners and the art community. 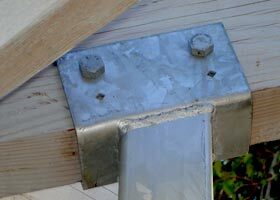 Whether you are constructing a custom home, or just need a few nails or bolts for your kid’s school project, we are here to help with an extensive selection of quality construction hardware, and services such as custom fabrication and galvanizing. Part of the secret to providing excellent service is knowing how to ask the right questions. We know through decades of experience how to acquire hard-to-find items quickly and efficiently. If we can’t find what you need, it probably doesn’t exist, so we’ll make it for you.